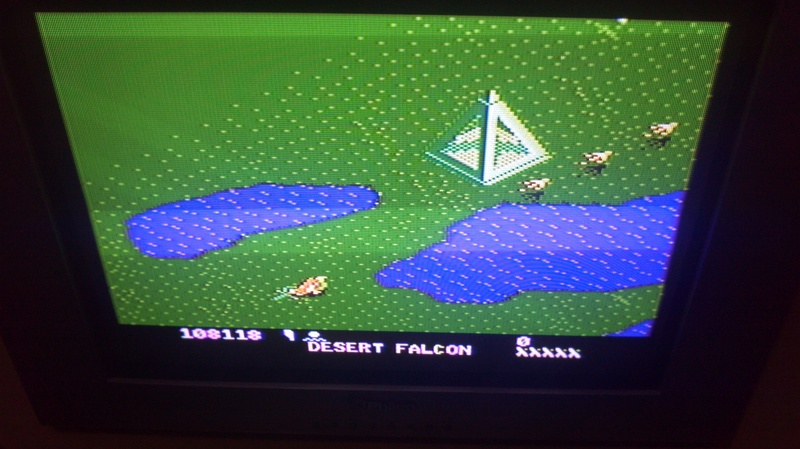 7800 HSC Season 5 - Game 17 !Desert Falcon! Today I couldn't play enough. Maybe tomorrow I can get better. Rule #6. Please do not abuse bugs in the games! content. 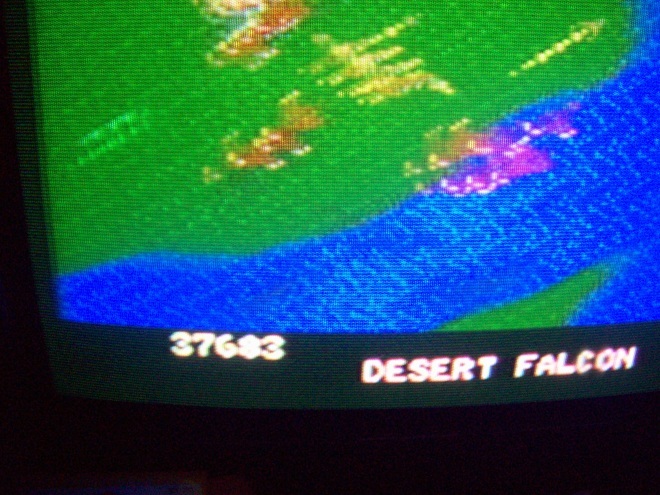 Not only do these result in somewhat bogus high scores, but it ruins the fun and challenge of the game in the process. but if you happen to stumble across one that i was not aware of, please let me know! I personally don't think I was breaking said rule. The tactics involved are hardly foolproof and overall just common sense if your goal is points rather than to see how far you can get into the game. It's impossible to fully stop and in many places it's not to your advantage to do so due to the terrain. It was not my intention to state that you were breaking any rules.. maybe I have perceived the rule incorrectly...I agree that at certain times in the game it is prudent to stay in one place. You had said that you would not have moved as fast as I did...but in this game it does not matter at what point in the level that your are in..the waves repeat themselves...so staying at the beginning or standing in front of the Sphinx...doesn't matter the waves will keep coming. This round is almost over anyway so it matters not. I DL'd that tube catcher that NIKON posted a link to and i got it to work just fine on the prosystem emulator. I never used a recording device before. It turned out ok i think. 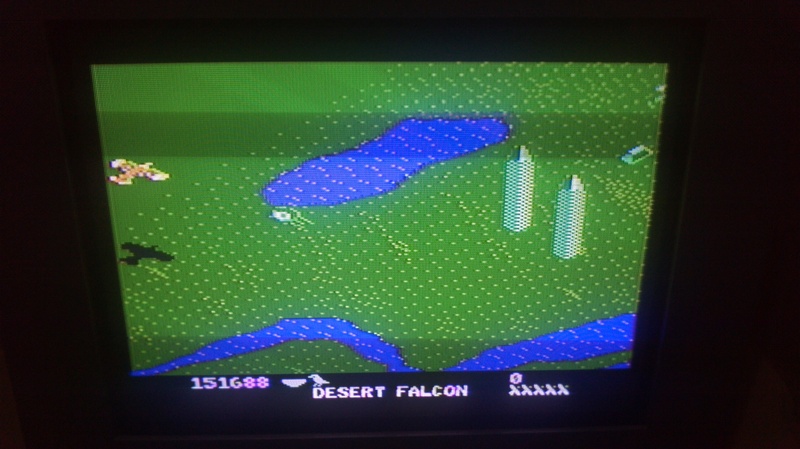 I posted a short video on youtube of desert falcon on expert setting. Edited by oyamafamily, Wed Dec 12, 2012 5:34 PM. 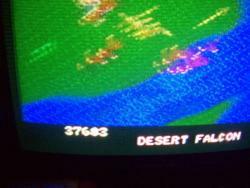 I solved to erase my too huge scores on 7800 Desert Falcon (> 1,000,000 points). My goal is to reach at least the SECOND PLACE on Season 5 Rankings at the final of Game 18 - FATAL RUN. okay.. and all scores will be updated accordingly. Since this topic has NOT been locked due to Jacob's sickness, I decided to erase all my first scores. Edited by oyamafamily, Wed Dec 12, 2012 6:50 PM. Edited by JacobZu7zu7, Thu Dec 13, 2012 10:18 PM. oyama, do you have any way to record your game play to show us your technique.